The air force doesn't impose these requirements out of spite or anything; it simply comes down to the fact that the pilot will have an unacceptable risk of failing to execute his job without fulfilling the requirements. This is the same philosophy and level of rigidity I want to have for my world's public office holders. Now this analogy is not intended to be taken to an extreme, but it will nonetheless provide a few useful concepts to apply for corruption. Corruption robust indicators are the crucial missing ingredient in my world. Again drawing inspiration from the air force analogy, I want these indicators to be quantifiable. So instead of quantifiable requirements to become a pilot like height, weight, eyesight, etc., we need quantifiable metrics for tendency for corruption. Of course tendency for corruption is a latent variable and not easily measured directly, but that doesn't mean we can't find unbiased estimators for tendency of corruption. In contrast to Transparency International where we look at an index that reflects the public's perception of corruption, what I have to do is estimate how corrupt the public office holders are directly, which is a different beast. The best idea I had thus far was replicating the Stanford Prison Experiment. This way neutral parties can evaluate prospective public office holders and how well they handled being in power (if they were the guards). The trouble with this idea, is if this methodology were ever to be revealed, then people could just be on their best behavior for the duration of the study to defeat the analysis. Afterwards, when they take office, they could still exhibit corrupt behavior. According to known science, what is one but no more than three possible heuristics working in concert to gauge what an individual's tendency for corruption is? To keep it short, you may just refer to such heuristics as CRI: Corruption Robust Indicators. Quality Metric: Answers that provide solutions using studies/evidence that are already in existence and/or well-documented are weighted higher. Conversely, answers that are mostly speculative will not score as high. We are not trying to model tendency for corruption; that will be far too difficult. To model something outright means we must explain all the variation in the data perfectly. That is unlikely to be possible with tendency for corruption because of the complexity involved. We are just trying to give decent heuristics / estimations, much like meteorologists -- meteorologists can't model something as complex as the weather and so sometimes they get it wrong. But we can all agree that we are better off with their scientifically-based guesses. This actually cannot be done, due to feedback. This approach greatly risks "teaching to the test." Consider a politician who will be corrupt. This politician will be aware of this metric, and act to maximize corruption within the metric. This effect is well understood in the software planning world. Any metric is subverted the moment you start grading people on that metric. SCRUM's Story Points are an example. Story Points are supposed to be heuristics providing the programmers best estimation as to how hard a task is. Over time, a SCRUM master can analyze things like the velocity of the programmers, in story pointer per week, and start to make powerful predictive planning structures. However, the instant you put pressure on a programmer to assign 3 story points rather than 5 to a story because you have 1 month to develop and ship a product, a current velocity of 10 story points/week, and you don't have the budget for 1/8th of your total effort to go towards this story, things break. Your programmers immediately start sandbagging their story-point metrics to regain control over their lives. The big difference between the pilot criteria and the politician criteria is that corruption is more of a mental thing, and we are famously bad at assigning meaningful metrics to the mind. The other difference is that pilots are generally good guys. The whole reason you're trying to filter out the politicians is because you feel politicians in general are too corrupt. The pilots are far less likely to try to cheat the metric than the politicians are. And even then, the pilots do indeed cheat, at least in fiction. At the university I went to, one of the professors was paid to try to come up with a metric for how to gauge potential terrorists in an airport. They wanted to find the best way to manage the patrols. The answer the professor came up with: random patrols. Every time he tried to come up with a metric, the virtual terrorists in his simulation figured out what the metric was, and cheated it. The one metric I am aware of which would be effective is from Dune, a fictional book series. The Bene Gesserit have a pain-induction device which basically puts extreme pain into an individual and the tester observes the testee's response. In the hands of a well trained Bene Gesserit, it was a very powerful detector of corruption indeed. Corruption is what corruption does. That is, if you care about corrupt behavior you need to see if there is a propensity for it. There might not be any single intrinsic reason people become corrupt. While in much of the western world corruption is seen as motivated by greed, in some societies it is regarded as morally proper and altruistic to give one's family an advantage: totally different motivation, but might produce the same behavior. This is why any kind of measurement not directly based on corrupt behavior will be problematic for the reasons Cort discuss in their answer: Goodhart's law will strike and people will subtly or not so subtly adapt to the testing. One approach might be to try to measure propensity to corruption by direct testing: set up opportunities for corruption and watch what happens. Anti-corruption officials posing as businesspeople offer neat business deals. Chocolate is left in the open with a secret surveillance camera. Virtual reality scenarios where the politician is fooled into believing they are in a particular situation with actual corruption potential and no surveillance. Accountants watch every move. This might work, but not as a testing method. If all of this was just testing, the would-be corrupt politician would know it and behave well until the testing stopped... and then indulge. It would only catch sloppy people. However, if the testing never ended and was intense enough, the would-be corrupt politician would never know if this was a good business opportunity or a sting operation. If the likeliehood of the later was high enough it would deter corruption. But this is not really testing but enforcement. If we really had a lot of good data on who was corrupt or not (by some standard) we might want to try to train a classifier using it: it would take a combination of brain scans, questionaires, survellance data and whatnot and output a predicted probability of different corruption level. But basically this is just a really complex test, and one where there will be false positives (honest guys claimed to be corrupt) and false negatives (corrupt ones looking honest). It doesn't help if the data used was actualy good since reality is noisy. So just as the best way of finding if somebody can do a job is to have them try it rather than checking their school grades or genes, the best way of finding out if somebody is corrupt is to watch them govern. So we have a problem. That problem largely being that people act in their own best interests. How do you stop someone doing that from a position of power? If we consider your map, and compare it to a wealth map, then we see a correlation. 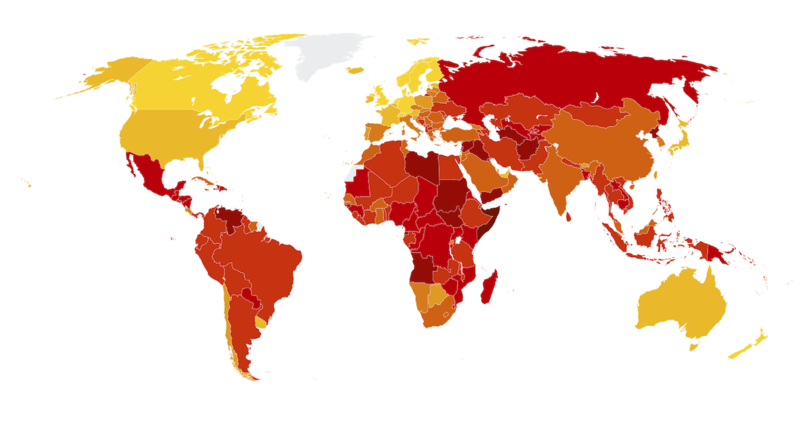 Wealthier countries are less corrupt. Does corruption keep countries poor, or does being wealthy reduce the risk of corruption? Yes, both. The greatest victims of corruption are the little people who have to pay their daily bribes to the officials they meet just to get through life. This keeps the poor, poor and the economy as a whole repressed. People who are well paid and can easily cover their costs, have no great advantage to the risk of taking small bribes from every minor encounter. What it specifically means in terms of your question is that you can't look at an individual's risk of corruption in isolation. You can only look at the corruption risk of the whole system. An individual will struggle to be corrupt in isolation, they have to be exposed to a system that allows it. No man is an island, you can't take a bribe if nobody is offering bribes, you can't give a bribe if nobody is accepting them. An incorruptible individual in a corrupt society will fair no better than a corrupt individual in an incorruptible society. If your leader is corrupt, it's because the system is corrupt. If your system is corrupt, your leader is corrupt. A person who declines to participate in the system, whatever the system is, will never achieve power. Whoever approaches achieving power is a product of the system, so anyone you're trying to measure with your system is going to be almost exactly as corrupt as the system as a whole, and we return to the words of Douglas Adams quoted above. Corruption is genetic and thus can be pinpointed with a simple genetic test. If the subject's DNA is human, then they have a built-in tendency for corruption. Before you try eradicating corruption, you need to define it. as an anedocte: A couple years ago the president of Brazil was impeached, accused of corruption. The one crime that cost her the job was an accountancy juggling of government accounts that was considered illegal. A couple days later, the same parliament that had axed her passed a law, so that the very same fiscal maneuver became legal. Presidents can now do it without fear or worry. The colorary here is that If you define corruption as a polictician doing something illegal or illicit, and apply some formula to remove the corrupt from office, then they will just change the law to make whatever it is that they are doing legal. You want an incorruptible character, you need an alien, an animal or a machine. Humans just won't do. Were you asking me how to design such a system to work in real life, I would tell you that it was a terrible idea. Corruption is often the product of environment, and it would be more effective to work by simultaneously reducing incentives for corruption and reducing opportunity. If people in your universe think they've identified a test which measures propensity towards corruption, why are they only using it for politicians? The private sector doesn't exactly want corruption, either, at least not in ways which don't benefit them. Some examples of stable characteristics that have been demonstrated to have relationships with CWBs include conscientiousness and agreeability, motivation avoidance, cognitive ability, and self-control. To the extent that these stable conditions predict CWBs, reduction of CWBs in an organization can begin at the recruitment and selection phase of new employees. Integrity screening is one common form of screening used by organizations as is cognitive ability screening. Personality testing is also common in screening out individuals who may have a higher incidence of CWBs. Work samples have been found to be a more effective screening tool than integrity testing alone, but integrity testing and cognitive testing together are even better screening tools. While the use of screening instruments may be an imperfect decision-making tool, the question often facing the recruitment officer is not whether the instrument is perfect, but whether, relative to other available screening tools, the screening tool is functional. These sound like integrity/anti-corruption criteria to me. So here is my suggestion: your fictional society is one which heavily prizes personality testing as a measure of job fitness. These screenings start out early in life: colleges and prestigious private prep schools use them to find students less likely to cheat or cause issues which will bring them paperwork related headaches. Parents often get their children tested early in life to help determine career path and predict their success in life. Yes, these tests can be gamed, but not without significant effort: their questions are widely varied and often non obvious, and getting caught cheating on one is a permanent black mark on your permanent Integrity Score. Your what? Well, the permanent aggregated results of all Integrity Measures throughout your life. Everyone wants these things, after all, and everyone adds their own: schools, charities, businesses. Fail to turn in a homework assignment on time? That's demerit for conscientiousness. Get caught taking that stapler from work? That's a demerit. And that's all in addition to the test you had to pass to get the job in the first place, which itself of course affects your score. Only those with exceptionally few demerits and a stellar Integrity Record are eligible for political office. If an appropriate measure of what constituted corruption (or some defined set of variables) were to be created, and those administering the test were known quantities (known to be generally incorruptible and well-intended), I would think that scenarios could be run with brain mapping and narcoanalytic interrogation (sodium pentothal or the like). Prior to implementation, correct scenarios would have to be developed, and a baseline model output generated across a large group of also known quantities (or at least reasonably presumed quantities). Above that baseline - not fit for the job, below - acceptable. Obviously narcoanalystic interrogation is frowned on by most folk these days, at least in Western cultures, but on your own world, values may differ. And in any world where corruption is such a well-established and important metric, I would imagine methods such as these could be considered necessary for the common good (and would also be voluntary since someone is ostensibly running for office). Not the answer you're looking for? 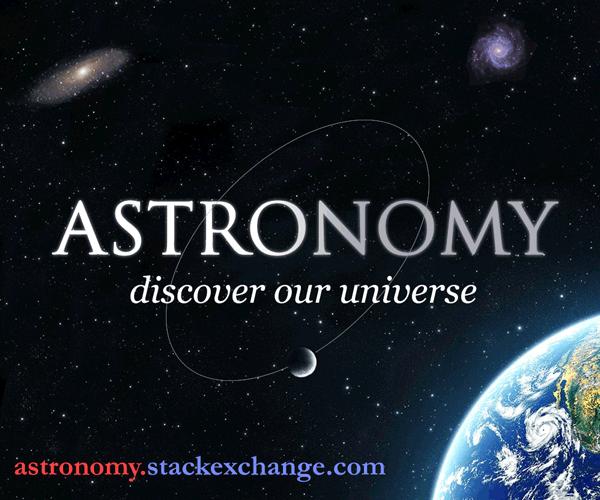 Browse other questions tagged science-based earth-like government or ask your own question.